Friend and personal secretary to Joseph Smith, Jr.
Willard Richards (June 24, 1804 – March 11, 1854) was an early leader in the Latter Day Saint movement and served as Second Counselor in the First Presidency to church president Brigham Young in The Church of Jesus Christ of Latter-day Saints (LDS Church) from 1847 until his death. 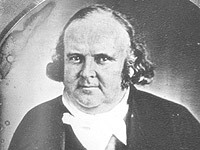 Willard Richards was born in Hopkinton, Massachusetts, to Joseph and Rhoda Howe Richards on June 24, 1804. At the age of four he injured his head in a fall and was left with some residual muscle tremor and paralysis. As the injury limited his physical activity, he focused his attention on education and obtained a teacher's certificate at age sixteen. He taught school in Chatham, New York, and in Lanesboro, Massachusetts. He pursued additional studies in physical mechanics, science, and studied the clarinet. At the age of thirty, after the death of his sister Susan, Richards decided to become a physician. He studied at the Thomson Infirmary in Boston focusing on medication and herbal preparations. He then settled in Holliston, Massachusetts, where he practiced medicine. From a 21st century perspective, he would probably be considered a pharmacist. In 1836, Richards was introduced to the newly published Book of Mormon by his cousins, Joseph and Brigham Young. He read the book twice within ten days and, after making the necessary preparations, left for Kirtland, Ohio to join the Church and be with the Saints. His famous quote "God or the devil had a hand in that book, for man never wrote it,” shows his conviction of its truth. Richards was baptized there on December 31, 1836, by Brigham Young and ordained an Elder roughly two months later, in February 1837. Shortly following his ordination, Richards was called on a brief three-month mission to the Eastern United States. Immediately upon his return, he was called on a more extended mission to Great Britain. 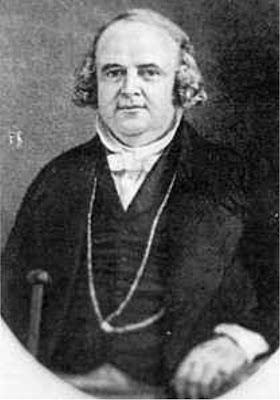 Richards was ordained an Apostle on April 14, 1840 by Brigham Young. In 1841, he moved to Nauvoo, Illinois to be with the body of the Church and became the private secretary to Joseph Smith, Jr. In December 1842, he was called to be the LDS Church Historian and Recorder, a position he held until his death. In these two capacities, he maintained the Mormon prophet's schedule and recorded most of his activities. As church historian, he subsequently wrote a total of 1,884 pages on the history of Joseph Smith. 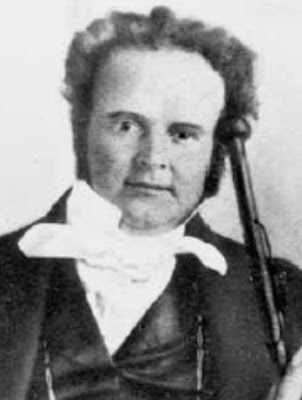 Richards was incarcerated in Carthage Jail with Joseph Smith, Jr., Hyrum Smith and John Taylor on the 27th of June 1844 when the jail was attacked by a mob and the LDS prophet and his brother were murdered. Taylor was shot four times and severely injured, but survived the attack. Richards was unhurt and so supervised the removal of Taylor and the bodies. Richards and his family left Nauvoo in February 1846 and spent the year at Winter Quarters. He traveled with Brigham Young and the first group into the Salt Lake Valley, returning to Winter Quarters that fall to gather his family for the trip west. He was called as Second Counselor in the First Presidency under Brigham Young on December 27, 1847 in Council Bluffs, Iowa. After moving to Utah, Richards was involved in establishing the Deseret News. He served as the first editor of the news. He died in Salt Lake City on March 11, 1854. About 334 miles East of Great Salt Lake City. Brethren beloved of the Lord and all the Saints myself not excepted. I received your kind letter by Brother Daniel S. Thomas on the Lower Platte, and your more recent letter by Brother Rolfe, and others just below Upper Platte Ferry on the 5th inst, for which I feel that thanks would be but common praise; and I do rejoice and thank my heavenly father that you are so far advanced[.] notwithstanding all your kindnesses, I have watched your camping grounds with warm solicitude, and can in some measure appreciate the scarcity of animal food and other difficulties you have had to encounter; and I regret exceedingly that your special message to Brother [Amasa Mason] Lyman & myself should not have received a speedier [........] answer. I met the messengers Camp in motion. We received the Letters, Epistles, &c. & they passed on to Brother Amassa's camp, saying they would be with us in the morning. Brother Amassa expected to be also, and we anticipated a general sit down. Bro: Amassa came, and said they were wearied and wanted to remain with the Camp to recruit a few days and perhaps Captn. [James Madison] Flake & myself will return with them. I said it was right if themselves and animals were wearied that they should refresh themselves, but said but little for I was exhausted, and we separated expected to see each other again soon. In the morning I passed on and Bro: Amassa & messenger have not come yet, but on the 7th I met Bro. Powel[l] from your Camp, and by him sent a special message to Bro: Amassa that I felt uneasy & anxious that the express should br on their return, and wished them to be agoing as speedily as possible, and should have started an express from this division of the Camp before this if I could have done it without stopping the Camp for we are short for men, and horses, as well as oxen. The history or brief of our journey you will get from the historian Robert Campbell, also our present situation as to numbers &c.
Capt [Andrew] Cun[n]inghams Coy [Company] of 30, in advance had abundance of team to go thro' the last I knew, so had Bro Amassa's 40 in the rear, altho' they had lost many, but their present situation I know not. they will report of course. The 30 with me were the three week tens, such as dared venture with me, for scarcely any thought the Dr. could hardly get away from town when he started, and all seemed afraid, they should have to lend a helping hand. I had a few superannuated oxen & young steers unbroke, & a few good oxen, 2 yoke of which from my 10 have received a wolf burrial as is said by the murrain. I have left 4 of my best cows beside; which make my teams rather weak but yet I keep moving by doubling teams at every hill & creek, and changing teams & loading every hour almost, & sometimes three times an hour. Brother [Joseph Leland] Heywood's cattle are old and some others in camp, & it is difficult for them to get on, & this division of the Camp really needs help, but I calculate to go thro so long as I can see a man left at the wheels. I have lifted a few times but have paid dearly for it, and quit it, till I begin again. I am here about the same as ever tho' not quite so big, yet I have not been dressed since you saw me, except in the big round about you saw, I have not sat up half a day at a time or rode only on my bed more than an hour or two at a time and that seldom. the induration of the liver is decreasing, but it is less than week since any one could discover I had any ribs. Loathsome bile, makes room for frequent vomitings and little food stays on my stomach, but enough of this. What do I want to trouble any body with such personal affairs for? I dont. On the whole, or, in short I am pretty well, and if I can get over the mountains without another chill, such as I got one year since, I may yet be quite well, but if not, and the marrow of the teeth go with the skin, it will be a miracle. Well, suppose it iswe have had several miracles since we started[,] several children have been run over by loaded wagons & been healed almost immediately, and taken all together[.] perhaps no Camp from Winter Quarters has ever been blest more than this division thus far, and when our teams appear used up, as tho' they never could start again a day or 2 or a weeks rest recruits them, and we move again, and again, and are a-going to keep moving. Go ahead is my cry all the time, and when the cattle drop dead roll them out of the road, and go a head. Our Camp is very short for Salt, and if we had plenty to give our cattle it would have been for their health[.] they want more than last year. The latest news we got at Fort John, but that was not decisive about peace with Mexico. Nothing special from foreign nations, since you left only continuation of general commotion[.] Other letters will give you many particulars. I am exhausted & must quit, anxiously waiting the arrival of the express. I know & feel for your anxiety, but hope that Brother Amassa [Lyman] and [James Madison] Flake will not desert their Camp to attend Conference, for I have no feeling that you design General Conference till the last emigrating Coy [Company] arrives. If you do, it is all right with me, & had I teams I could yet be there by the 6th of October and calculate to soon after anyhow. Brother Young before he left wished to see Winter Quarters cleared, it is done when every other soul had deserted the place the Dr. left it to the Owls, the bats and the Omahas, till the day of restitution, and woe be to the Gentile that attempts to rebuild it. I left in an hour or two after I came in possession of my last wagon, & most of the 100 were over the Elk Horn. 6 P.M. Bro: Amassa's Coy [Company] is camped 1/2 mile East. Amassa & Captn. Flake are in my carriage say they have lost 6 cattle since I saw them & that one ten is unable to move without help. Amasa has 2 old wagons that have failed & will have to build or repair before starting. Captn. Richards says that Bro. Rolfe says that Prest. Young said the express was to wait till the Company was above Devils Gate, but I have not seen him. I mentioned my anxiety for the return of the express &c and Bro: Amassa decided that the express should start Tuesday morning, and that he would not go with it as he anticipated. Monday 5 P.M. 4 miles West of Devils Gate. We have rolled about 10 miles to day (12th) & it is rolling in truth, one of my wagons has been rolled by hand considerable, started at every stop, altho' I had two borrowed cows attached to it, and one of them sick. I have heard of Log rolling, but I think a man must be a fool not to understand wheel rolling after going thro' this journey with me. It is good to understand all branches of business. We met Captn. Allen Taylor below Upper Platte Ford say 2 miles on the 5th. all well tho' he lost 9 oxen on the Sweetwater, near this by straying with Buffalo. We have made dilligent search hoping to find them. I have been patching old wagons before & since I left Winter Quarters, till all my patches are used up tho there are many rents remaining, and how long my [wagons] will be moveable I cannot tell, but I expect till they have done their duty. I think there are about half a dozen wagons of very doubtful character in our 30; and many more that are unsafe to pass the mountains without lighting. I expect to travel so long as I can go 1 mile per day, and if I cannot get thro, build a cabin of the remnants and go into Winter Quarters, and at the same time I feel assured that if it can be consistent for you to send us assistance that it will be your pleasure to do it. On account of the scarcity of wagons this 30 is more heavily loaded than the rest of the 100, & probably heavier than the first camp. We are not so short for numbers of cattle, but many of them are old, many of them young, & many of them poor crow meat & altho' I had to roll wheels to day there were 8 oxen & cows attached; Should you send out assistance to us & leave that assistance to the option of the advance 30 under Captn Cunninghame, I should expect to receive as much as Willard Snow did last year. Please say to T Bullock I received his letter but cannot answer it now, will soon face to face. N.B. I do not expect Brother George A. will come over the mountains this fall, or that any further mail will go West until one goes East. Tuesday 3 1/2 P.M. Messengers have been in sight hope they will go on their way & be prospered. Wed. 13th Sunrise--Two cows & 2 oxen dead this morning.